At a glance, Kik is your meat and potatoes messenger app circa 2016. It's multiplatform, it looks reasonably polished, it lets you chat one-on-one or in groups, share files, and meet people with similar interests. 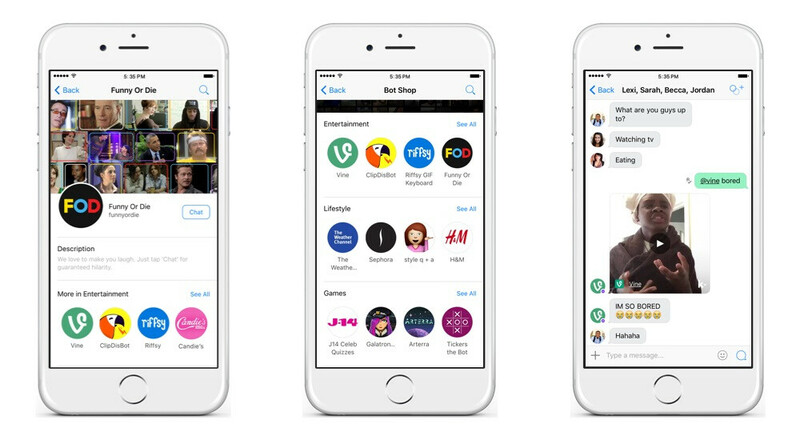 What could the folks at Kik do to make their messenger stand out among the countless apps that do the same things? Release the bots! That's right, Kik launched a brand new Bot Shop, a place where you find bots to chat with the same way you hunt for funny gifs and stickers. It features bots made in partnership with websites and services like Funny Or Die, Riffsy, Sephora, Vine, and The Weather Channel, with more to come. The Kik bots aren't some sort of Akinator recreation, rather they operate not unlike those in Slack and Telegram. For example, the Vine bot comes up with random trending vids, the weather bot dishes up weather information (although it's for North America only), and the Sephora bot provide style suggestions. To those unfamiliar with the aforementioned apps, bots will be a new and refreshing experience. We, for one, welcome our chat bot overlords. In addition to bots, Kik rolled out other new features such as web bubbles (“wubbles!”) which show multimedia content in conversation threads without disrupting them. It has also revamped “suggested responses,” which let you select options while chatting to a bot without having to type anything in. There's also the “mentions” feature, which lets users summon a friendly bot into a conversation by typing the “@” symbol. Yep, pretty much the same as starting a game of chess inside Facebook messenger! Bots can participate in your chats with friends as well, so get in on the fun. Kik is free and up on Android, iOS, Windows 10 and Amazon's app stores. Srsly. What's all this circa 2016 sh!t? I've been using it since 2013.